People in their teens and 20’s, don’t appreciate the damage ultraviolet radiation can do. Melanoma is the second leading cause of cancer of any time in patients age 15 through 29. 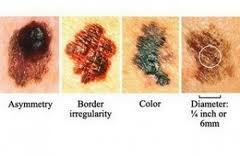 Melanoma is one of three types of skin cancer but is responsible for 75 percent of all deaths from the disease.